Senpom Hair Salon Bangkok is an English Speaking Hair Salon with more than 27 years experience. We know all the techniques to take care any kind of hair as well as Western or Asian Hair. so they can offer you the best Hair Bangkok Service and give a satisfaction guarantee to you. We usually welcome into Senpom Hair Salon Thai,Expats and Westerners but also Thai Celebrities such as Miss Thailand Universe,Singers,Movies Stars and Net Idols that make us proud of the quality of our service and make us be one of the Best Hair Salon in Bangkok. The owner,Pekky, started her hairstyling career training since she was 16 years old with Niranrat Hair Dressing and Dress Making School Internation . She was a brilliant student and became their youngest instructor at the age of 18. 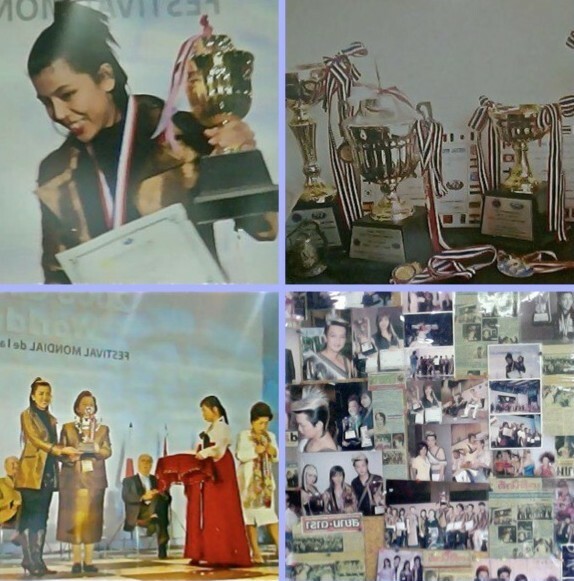 After obtaining 1 year experience as teacher in that school as well as gathering more experience of her own,she eventually started her first hair salon business at the age of only 20 years old. Even though she was young but her performance was well accepted by her teammates.She was able to manage her fast growing business. Meanwhile,she was constantly contacted by domestic and overseas hairstyling associations to participate numerous competitions. In 2006 Pekky won the 1st Runner of “Creative Hairstyle and Color” and “World Champion Team” from C.A.T (Cercle des arts et techniques de la coiffure) ,South Korea. After that she mainly focused on expanding her hair salon business services,offering the last trendy Cuts,Balayages,Highlights. And of course our famous 100% Remy Premium Quality Hair Extensions that we can color as you wish. This is not only for business purpose but partially dedicated to generate more income to her loyal member team. At Senpom Salon,Pekky selects only her best apprentices to join our hair salons!